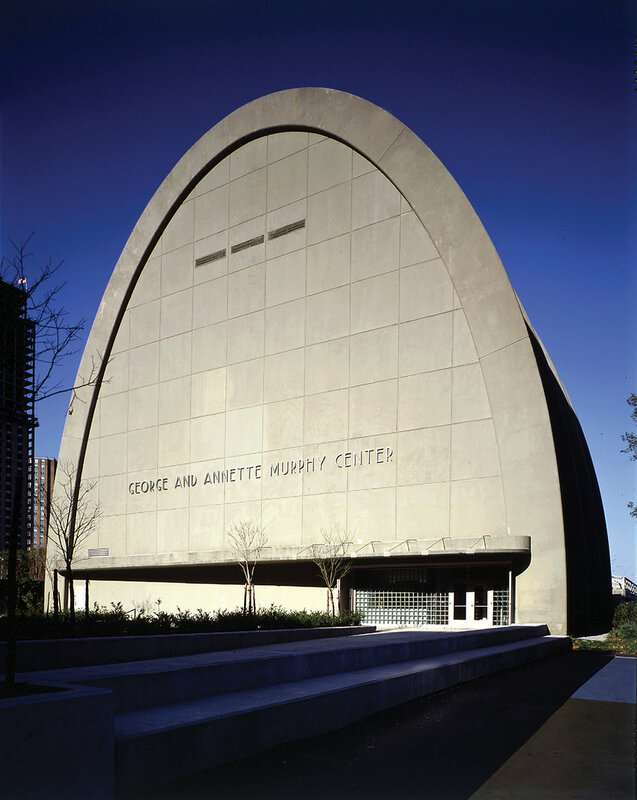 Located off of FDR Drive, the once empty and abandoned shell is now an interactive monument and primary component to the successful Asphalt Green Sports and Arts Center. PKSB was commissioned to adapt the old asphalt mixing plant into a new recreation facility. The program includes a multipurpose room, a 100-seat theater for plays and lectures, art studios, classrooms for dance and gymnastics and a modest-sized gym with suspended running track, locker rooms and shower facilities. 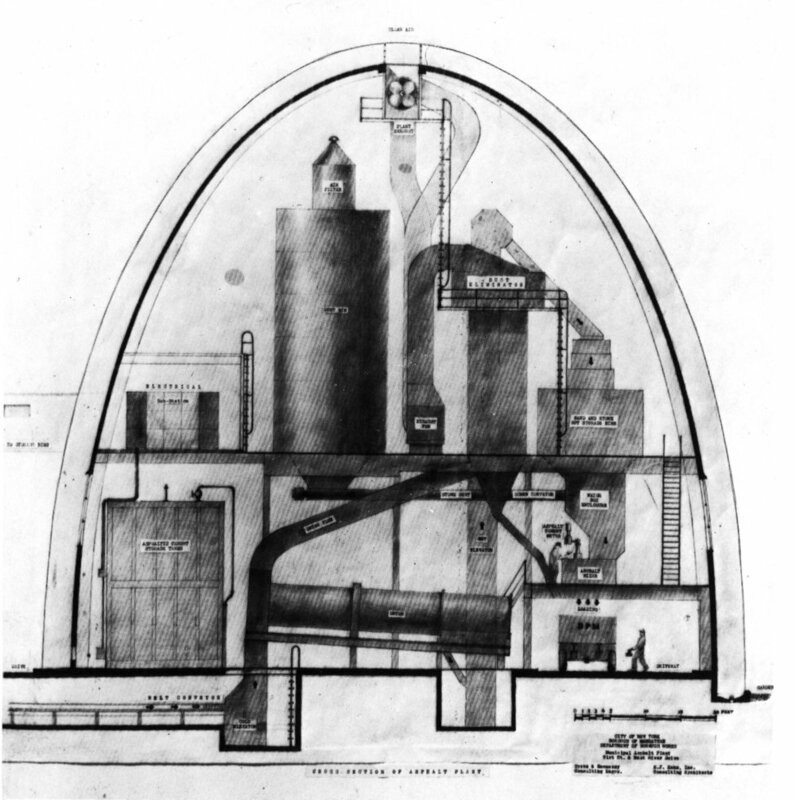 The architectural challenge was to fit the diverse program elements comfortably into a structure built for an entirely different use; the Asphalt Plant’s dramatic arch shape was designed in the 1940’s as a space-saving way to house asphalt mixing machinery. Both to keep within the very tight budget and in reference to the building’s former industrial life, finishes are simple and “industrial”: cement plaster, glazed block, exposed ductwork, industrial windows. The existing steel framework was left intact. The project was one of the New York State Energy Research and Development Authority’s demonstration projects in energy conservation. As part of its energy conservation program, the building is super-insulated and generates its own heat. 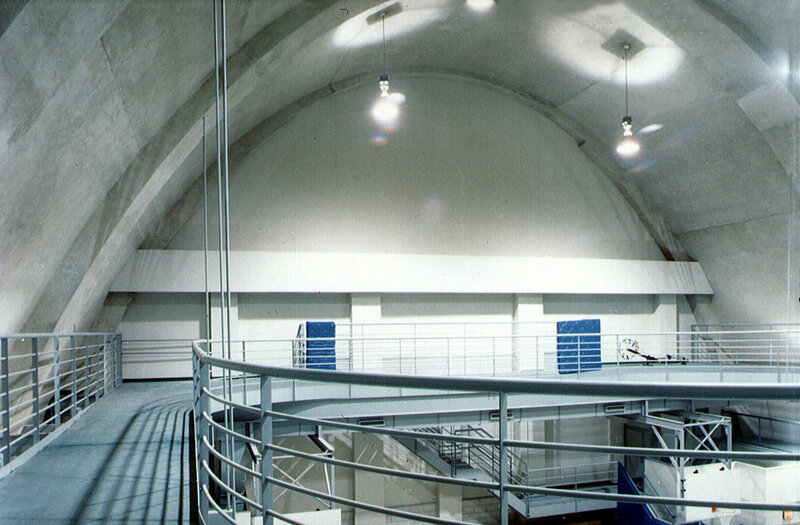 Waste heat is reused to produce hot water and heat the building.